N.St. J. Buxton, the Hon. Proposer, said that votes were at present given to tax-payers, property holders, and to Universities. But women, too, often paid taxes and held property, while Mrs. Pankhurst –the well-known Suffragette – had taken a University Degree. Though the fate of nations depended on physical force, and men could fight for their country; yet women often felt the losses of war themselves. Men fought on behalf of the whole community of the country, which was composed of women as well as men. Why then should they be refused a vote? The women of the Ancient Greeks and Romans were only refused a hand in politics, because they were uneducated and accustomed to be treated almost as slaves. But English ladies were· certainly educated, and many took a considerable interest; in the country’s affairs, and were beginning to read the papers much more than they used. C. G. Lonsdale, the Hon. Opposer, said that from the earliest ages man and woman had had their respective duties allotted to them. Women should realize that they have quite different functions to perform. They would undoubtedly never take sufficient interest in State and Foreign Affairs, to justify their privilege of voting. Most women, if they did look at the papers, nearly always looked at unimportant things such as “Births and Deaths” and” Accidents,” And few would read politics any the more, if granted a vote, or a seat in Parliament, which latter must inevitably follow on a vote, it was more than probable that women would become far too masculine in their habits, if their requests were granted, while they would have to put up with all the abuse and criticism of the country, which Public Speakers have to endure. Why did they, then, need a vote, when they had other much more important things to do which could not be neglected? It was no argument, that women had been granted votes in South Australia, which country had nothing to lose by it. England could not say what would be the result, if such a measure were granted. This country should follow the example of the United States, which had recently crushed down Suffragette demonstrations. From the events of the past year it was evident that many of those who demanded a vote, were totally unable to control themselves. Should such people be allowed the privilege of voting? It was quite clear that physically and mentally women were incapable of voting or having It share in the country’s government. E. Bryans, Esq., speaking against the motion, pointed out that women had their domestic duties to occupy their time, instead of spending it in elections and in Parliament. The speeches that had been made lately against Sufflragettes, besides the illustrated pictures of their doings, were sufficient to cause most men to oppose the idea. There were three good reasons why votes should not be granted. These were: first, the vast majority of women were not anxious for the votes; secondly, men were determined they should not have them; thirdly, women were women! The motion was lost by 14 votes to 6. 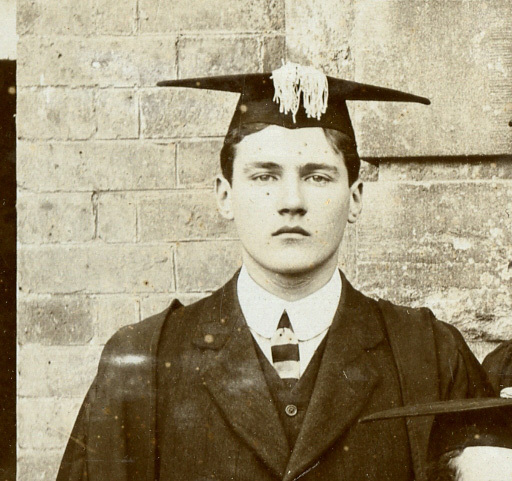 Noel Buxton left school in 1908. He studied at University College Hospital and became a surgeon. He served with the Royal Army Medical Corps in France and Macedonia during WW1, being mentioned in despatches and awarded the Croix de Guerre. 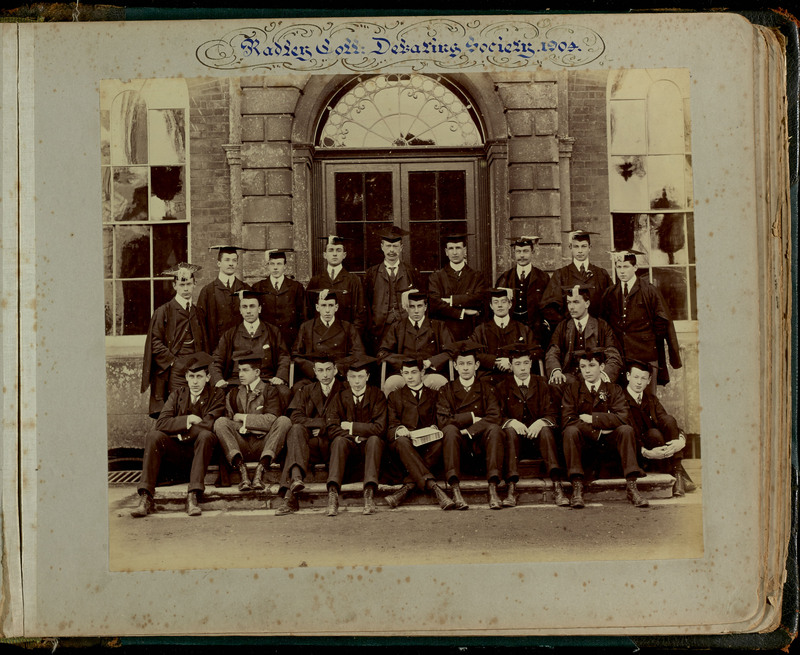 After the war he specialised in orthopaedic surgery, eventually becoming a lecturer in surgery for London University, President of the British Orthopaedic Association, Fellow of the Royal Society of Medicine and Hunterian Professor of Surgery.